Here are a couple of things that are very helpful to me when I am illustrating a book. 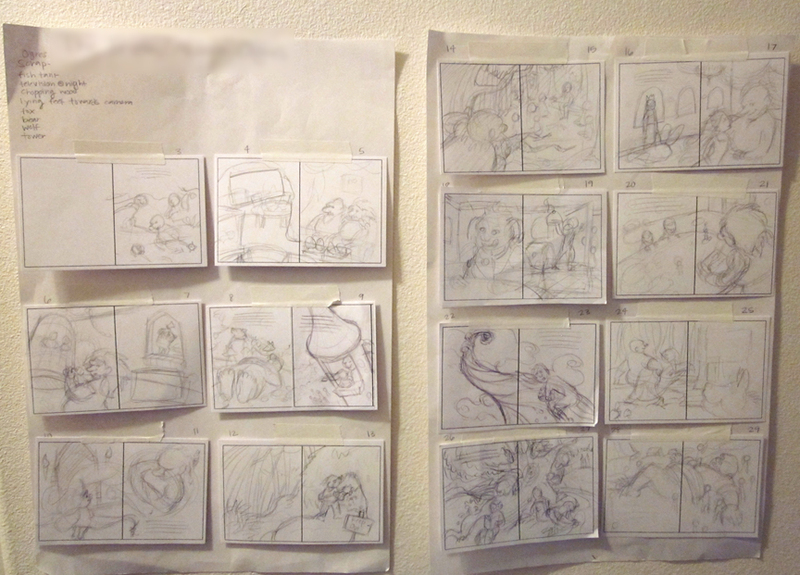 First, before I do the actual sketches for the book, I will lay my whole book out in “thumbnail sketch” form. I use a spread template that I made in Illustrator. I tape each spread up, and it is easy to change individual spreads and tape up new ones. 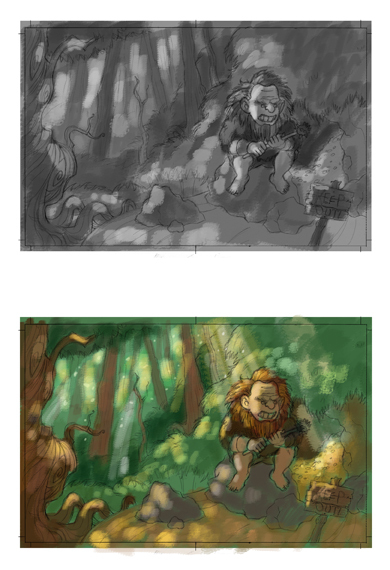 It’s good to just push quickly through these thumbnails and then you can easily see where you need to improve and draw new ones. Another helpful thing to do after your sketches are all set and approved is to make black and white studies and/or color studies. This helps you work out any value problems and color issues before you get the the final. I have found these have actually helped me save time a lot of times and made my life a lot easier! 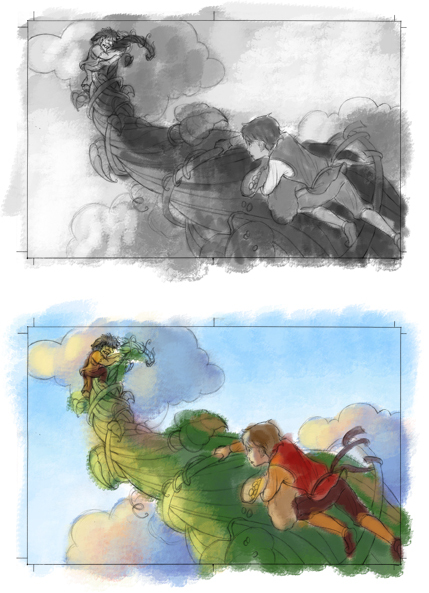 I usually can make a color study really quickly in Photoshop. Don’t be afraid to make these really quick and sloppy, just so you get a good idea a where general colors and values should go. Take a peek at the video on the Art Center blog. Mark McDonnell talks about creating this sketchbook and has a couple of pointers for artists. I love that he gives himself themes or specific goals for a given sketchbook rather than just a place for sketching. It’s worth watching the 4 or so minutes.